Litho postcard. Artist signed, Kathryn Elliott. 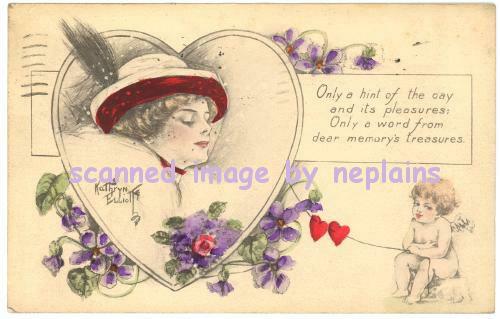 (c)The Gibson Art Co.
Posted 1912 from Ottawa Ontario. Minor corner tip wear. Faint toning at top edge.